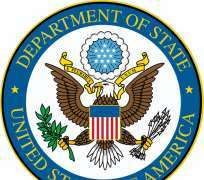 The Department of State's Bureau of Overseas Buildings Operations (OBO) announces the construction award, through best value determination, of a new rainwater capture and storage system at the U.S. Embassy in Freetown, Sierra Leone to Pernix Serka Joint Venture of Lombard, Illinois. The project, designed by CH2M Hill of Washington, DC, includes rainwater capture and storage systems, conveyance infrastructure, and water treatment; most notably a catchment canopy system and two raw water storage tanks that will take advantage of over 100 inches of rainfall during Sierra Leone's rainy season each year. Additional improvements to the existing waste treatment system will also allow post to recycle water and reduce demand. OBO's mission is to provide safe, secure, and functional facilities that represent the U.S. Government to the host nation and support our staff in the achievement of U.S. foreign policy objectives. These facilities should represent American values and the best in American architecture, engineering, technology, sustainability, art, culture, and construction execution.